In previous seasons it was common for bonus points updates to be released a couple of hours or so after a match. Some people complained that the quick release led to inaccurate bonus points allocations. However, the new PPI-system has brought up some strange bonus points outcomes this season. 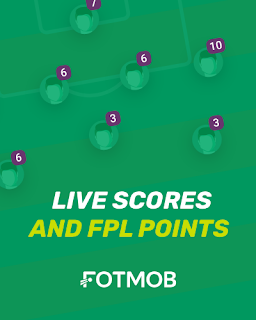 Moreover, the delayed bonus points can be frustrating, so much so that people can become disincentivised from playing FPL. Thus, the administrators of FPL should work to speed up their release of bonus points, even if it means reverting back to the old system. Of course FPL gives attacking points in the form of goals and assists. But I think it is missing out on a trick by not awarding any points to the players who often create the plays that sets up the goals, i.e. "assister's assist". This means that players such as Modric, Cabaye, Ramsey, etc. who don't score or assist as much but are integral to pre-assist plays fail to receive the credit they deserve. Consequently, it would be beneficial if FPL awarded 1 point to the player that assisted the assist so as to recognise the importance of such talent. In relation to the assister's assist, there is also another type of player that warrants points recognition - defensive midfielders, i.e. Carrick, Tiote, Song etc. In particular it is the tackles that they commit. At least with defenders they are awarded with 4 points for a clean sheet. Not so for defensive midfielders, only 1 point which is across the board for midfielders. Perhaps FPL can come up with a system to award 4 points to midfielders for every 6 successful tackles they commit in a match? Alternatively, increase midfielders' clean sheet point from 1 to 2. For the past few seasons the "usual suspects" tend to be priced the highest, £11M+ i.e. Lampard, Gerrard, Tevez, etc. What is all the more frustrating is that their prices remain almost static with no significant price drop when they are heavily de-selected or ignored by FPL gamers. Of course tinkering with their prices could be problematic. Moreover FPL operates a semi-price freeze in certain conditions so as to avoid wholesale manipulation by FPL gamers via inappropriate pricing. My suggestion would be for them to practically base their prices solely on the previous season, rather than taking all of the past few seasons or (projected performance) into account. If this is not possible, FPL should offer to revise player price prices of high-priced lowly selected players (i.e. £10m+ and only owned 5% or less) after 3 or 6 month intervals so as to add a level of realism to the game). 5. Vice Captain Points v "Cameo Captains"
Unlike previous seasons where a vice-captain could only be selected upon the criteria of form or value, 2011/2012 allowed you to directly pick the vice-captain. This was beneficial as it didn't tie you down to 1 or 2 options. However, the vice-captains points only kick in if your captain hasn't played a single minute of the match. This can be problematic if your vice-captain has had a fantastic Gameweek, where as your captain has only made a 1 minute cameo as you would lose out on a galactic scale. As a result, I would suggest that vice-captains points should come into play more often, i.e. so long as the captain has played only up to 10 minutes. This way you could be spared the unfortunate 2 points for a cameo captain. Michael Thomas move over. On Sunday we witnessed the most amazing end to a top flight season. 1-0 up you would think that Mancini's men would cruise to a comfortable finish. Not so as Cisse bagged an equaliser and things then became oddly complicated with Barton's red card. Mackie defied the odds to make it 1-2. With 90 minutes on the clock the title was heading to United, but some how City's never say never attitude came to the fore as Dzeko and then Aguero sensationally scored to make it 3-2. With that City won their first top flight title since 1968 and first ever Premier League title. QPR didn't get relegated despite the defeat as results elsewhere went in their favour. Fergie's men knew that they had to win against Sunderland and hope that QPR could shock City to win the title. Rooney's solitary goal gave United victory and as the whistle blew at the Stadium of Light, City were 1-2 down with United on course for the title. QPR certainly shocked City till the 90th minute, but it wasn't enough as City claimed victory in injury time. The title was decided on goal difference. To think that the Reds held an 8 point lead before their failure to defeat Wigan, Everton and City. Fergie's men end the season trophy-less and will know that they can't afford any more slip ups next season, as City become rampant. With an eye on the Champions League final, Chelsea rested some of their key players as they were not playing for league position. Goals from Terry and Meireles ensured a 12th league home victory as Blackburn lost their 11th away match of the season and finished 19th. Newcastle's slight hopes of Champions League football came crashing as they lost to Everton and results went against them elsewhere. Jelavic got on the score sheet again and helped Everton extend their unbeaten run to 9, where as Newcastle ended the season with back to back defeats. Norwich continued their fine season form with victory to allow them to finish 12th. Unsung hero Grant Holt scored again, before Jackson added a second. It meant that Villa failed to win in their last 10 matches of the season and ended up in 16th place. Villa's poor form proved costly and McLeish has subsequently been sacked. They battled hard in the end, but it wasn't enough to save them. A win was a must with the two Davies' giving them some hope, but Walters cancelled them out on each occasion. Their ultimate failure was their inability to win. They should have won their penultimate match of the season and they failed again on the final hurdle. As a consequence Bolton were relegated and will now be in the Championship next season. Call them Barcelona Lite or Swancelona. The superlatives to describe Swansea's creative style of play and results are endless. They were marked for the drop by many at the start of the season yet finish 11th after a 1-0 victory against a timid Liverpool team. Kenny's men may have won the League Cup and ended up as FA cup runners up, but their league form in turn has been disastrous. So much so that Dalglish has now been removed as the manager of Liverpool. A comfortable 2-0 win against Fulham in the end secured victory and 4th spot for Spurs. Their finish could have been all the more easier had they not let their form spiral out of control from mid-February to April. To think that they held a 11 point lead over Arsenal, yet finished 1 point behind them is remarkable. Despite finishing 4th Spurs could lose out on a Champions League spot, if Chelsea can secure victory in the Champions League final. Arsenal had to work hard to secure 3rd spot as they narrowly beat West Brom 2-3. Van Persie failed to add to his season's tally, but that didn't stop the Gunners scoring 3. The defeat will not do any damage to WBA. In the space of a year and a half Hodgson transformed his men from relegation near certainties to a Top 10 team. As for Arsenal, it will be interesting to see if they can keep hold of Van Persie and secure another Top 4 finish for next season. Wigan ended their season on a high with a 3-2 victory against Wolves. The win meant that they won 7 of their last 10 matches and finish 15th, despite being in the bottom 3 for the majority of the season. Questions remain on whether Martinez will stay as manager at Wigan and if he doesn't will Wigan escape the drop again next season? The final Gameweek of the season was bad for the FPLH Blog Team. Firstly, our recommended player doesn't start, nor is on the bench. Thus the -4 calculated risk backfires. Walker hobbles off injured on the 49th minute, which meant that I lost 5 more points. Caulker and Evans are rooted to my bench and score 14 points between them, where as my choice of Gibbs and Clichy score 1 each. Apart from my captain Aguero (16) bailing me out, as well as assists from RVP and VDV, nothing good came from my team. My team slipped in the overall rankings from 73rd to 110th following this awful Gameweek. Looking on the bright side, the FPLH Blog Team had a decent finish following excellent results in recent weeks. With hindsight it was job well done considering our recent FPL form and in turn securing a very respectable overall ranking. In summary, this season has been productive and as a result a high benchmark has been set for next season. ‘Mid-table mediocrity’ is a phrase that has haunted Fulham FC for the majority of their Premier League existence. However, there seems to be light at the end of the tunnel for the Craven Cottage outfit. Martin Jol has continued to build upon the foundations laid by Roy Hodgson and Mark Hughes, and now the West London club are within touching distance of reaching their highest ever Premier League points total (53). They are pushing for European football again, and it seems, are moving away from the football abyss that is mid-table mediocrity. Paramount to this revival is the introduction of many fresh, young and talented players. One of the latest introductions is the 20 year old Swede, Alex Kacaniklic. He is an exciting left sided winger who has a keen eye for a pass, as well as a deadly left foot. Making his debut in English football at the Liverpool academy, Kacaniklic helped his team to a 2-1 victory over Arsenal in the Youth Cup final. He scored a thunderbolt of a goal in the that game, and went on to show Liverpool exactly what they have been missing, as he was part of the Fulham side that secured their first ever victory at Anfield in the Premier League. notorious for his free-kick abilities. Overall, the future is looking bright for Fulham FC, and particularly, Alex Kacaniklic. He is the type of attacking player who can ignite a game, and may well provide the catalyst for another impressive season at Craven Cottage next season. I had to incur a -4 transfer hit to purchase him for the FPLH Blog Team. But I think he could be worth it as the Premier League comes to an end for another season. My recommended player for Gameweek 38 is Chelsea's Juan Mata. Some may say that he is a surprise endorsement considering his lack of league football of late. Of course he didn't start in Chelsea's last league match and hasn't played a full 90 minutes in the Premier League for over a month. But can you blame him or Chelsea for that? The fact of the matter is that the Blues have also been busy with their FA Cup and Champions League runs that has led to Mata being subbed off early during league matches. His lack of league play time has not been due to persistent injury or lack of form. In fact the last time he played an hour's worth of football in the league he managed to bag four assists (v QPR). Some may say that he may not play a full 90 minutes v Blackburn (Chelsea's final league match of the season), due to the Champions League final the week after. This could be true. However he would have a week's rest for it if he plays on Sunday (also he was rested in the league match v Liverpool on 8th May). This makes me believe that he should hopefully play an hour's worth against Rovers, with Chelsea hoping to end their league season on a high despite not playing for position. The Spanish international is currently the Premier League's joint-top assister. This is complimented by his 6 league goals. All the more remarkable considering that he is playing in his inaugural Premier League season. Such statistics highlight his attacking and creative nature. Moreover, Chelsea on average have scored 2.17 goals per league match this season. On the other hand Blackburn have conceded 2.39 goals per league matches this season. In effect their match is a clash between one of the Premier League's best home attacking records against one of the worst defensive away records. Surely he can make the most of this? At 9.7 Mata is value for money considering his on-field output per minute. The World Cup winner has proven pedigree that can come to the fore against the best and worst of teams. He may have the Champions League final and Euro 2012 to look forward to, but he still has unfinished business against relegated Blackburn. The 24 year old will hope to end the league season on a high and he should in theory do well by making a significant impact in Gameweek 38. I will post My GW 38 Blog Team (with confirmation of my selected captain and vice-captain) at least a night before the Gameweek commences. Arsenal failed to win their fourth consecutive league match following a thrilling encounter against Norwich. The Gunners led 1-0, then fell back 1-2, then came back to lead 3-2 before Morison scored a late equaliser. The draw means that Arsenal must win their last match to definitely secure a Champions League spot for next season. Man City moved one step closer to their first top flight title in decades following a 0-2 victory against Newcastle United. The first half was close and cagey, but it was Yaya Toure's brace that ultimately unlocked the Geordies defences and led to a famous win for City, with Newcastle's Champions League hopes now remaining slim. They may have had a woeful season that made them shock last minute relegation candidates. However, Aston Villa survived to live another season in the Premier League. Clark's goal proved crucial in securing a draw, which complements a superior overall goal difference, in comparison to Bolton and QPR. Spurs will be ruing their luck on how they failed to win the match and like Newcastle, their Champions League hopes still remain uncertain. So close and yet so far. Bolton were seconds away from gaining a vital win to put them on points parity with QPR. Yet Brunt's last minute strike took away 2 points from Bolton. It means that Bolton must win their final match of the season (Stoke - away) and hope that QPR fail to win their match (Man City - away). It was Fulham's non-club superhero/captain that saved the day again for them. Clint Dempsey scored the opener, which was followed by Dembele bagging the second. The victory was Fulham's second in as many weeks, as Sunderland extended their winless run to seven. The North East's Cisse has been hitting the headlines of late. But West London's equivalent struck late to deliver the Hoops a sensational victory at home. QPR must now obtain a draw against City and hope that Bolton fail to win their final match of the season in order to survive. They may be down and out, but it seems that no one told Wolves about their confirmed relegation. A 0-0 draw against Everton was their second consecutive unbeaten match and ensures that Wolves are ending the season with some dignity. Goals from Scholes and Young secured a 2-0 win for United at Old Trafford. The victory put United back on level points with City. However, City's superior goal difference means that United will only win the title if they obtain a win against Sunderland (away) and City fail to win against QPR. Blackburn's survival hopes ended in a farce, following a 0-1 defeat to Wigan at Ewood Park. Constant protest from fans through out the match against their manager and owners, fans on the pitch as well as a cockerel on the pitch summed up the chaos. The ex-Premier League champions were relegated from the Premier League for a second time in their history as the Latics in turn secured survival. The Reds may have lost to a triumphant Chelsea in the FA cup final over the weekend. However, nothing could stop them from trouncing Chelsea in their second encounter in less than a week. Chelsea lacked many of their first team regulars, yet that was no excuse as they lose 1-4. The defeat ensures that Chelsea must win the Champions League final to secure entry into Europe's elite competition for next season. A decent penultimate Gameweek of the season for me, which ensures that the FPLH Blog Team is now ranked in the Top 100 of FPL, as things stand. A truly remarkable achievement for a team that has consistently performed. Van Persie, my captain, did me proud with 2 goals. Rosicky, my recommended player for GW 37 bagged an assist. In addition, de Gea's clean sheet, Clichy's clean sheet/assist, Petrov's goal/assist, Dempsey's goal as well as assists from Rooney and Suarez ensured that the FPLH Blog team scored a decent GW total. The -4 transfer hit paid off as my transfers scored a gross tally of 16 GW points. However, it was disappointing that van der Vaart (last week's tip) failed against a weakened Villa team. Looking to Gameweek 38, I may take another -4 hit. Aguero and Kompany could be potential transfer targets. Along with Chelsea's on-form Ramires (recently scored in the league, cup final and Champions League semi-final). I will take my time on deciding my transfers, as the FPLH Blog Team strives to secure a Top 100 FPL ranking out of 2.78M competitors. I will upload my recommended player for GW 38 shortly. Until then, in the words that Mancini will hope to say to United's hold of the Premier League title... arrivederci! With the season coming to a close we are pleased to announce our Premier League Manager of the Year. It was a tough decision to make as many teams have done better than expected by bucking pre-season predictions. Notable mentions must to go to Brendan Rodgers for Swansea's Barcelona Lite type football, as well as Paul Lambert's dogged Norwich. Many slated these two newly promoted teams for the drop yet both are expected to secure comfortable mid-table places. Wigan's recent improved form has not gone unnoticed under Martinez either. In addition, credit to Roy Hodgson for continuing his rejuvenation with West Brom and being on the cusp of a Top 10 finish, as the FA finally come calling for him. But despite the aforementioned names, one manager has truly defied expectation more than most. Alan Pardew came to Newcastle United following the notorious sacking of Chris Houghton. This was followed by sales of Carroll, Nolan and Barton during 2011. Yet the players he bought in to replace the former Geordie favourites has proved to be successful. Pardew's "French Revolution" signings inspired an unbeaten start to the season. They proved it was no fluke as they maintained a Top 6 position through out the season. Newcastle United are now close to securing 4th place and a Champions League spot, following their remarkable 0-2 victory at Stamford Bridge. Time will tell whether Pardew can retain the same calibre of players and continue the Geordies' fantastic run into the 2012/2013 season. But for the time being he has done enough to win FPLH's inaugural Premier League Manager of the Year award. Congratulations. Double Gameweek 36 led to the exit of four more teams from the FPLH Cup. Four remain. 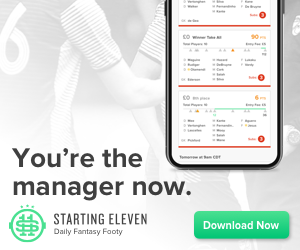 This includes our blog team which had the highest GW score (119) of the Quarter-finals and now faces Kingchip101, the 2nd highest scoring team (110) of the knock out phases. Let the Semi-finals commence! As a nineteen year old, breaking into the first team of a Premier League side is a task fraught with challenges. Breaking into a Premier League team which is challenging for major domestic and European honours, is even harder. Throw into the mix a team which is comprised of multi-million pound superstars, and you have the impressive feat which Josh McEachran has achieved in his short time at Chelsea. McEachran is deployed mainly as a central or attacking midfielder. He thrives when he has but a few feet of space to control the ball, and either take on the defender or lay on a pass for a team mate. However, such is the strength in depth at Chelsea, the opportunity to play in his favoured attacking role were few and far between at Stamford Bridge. It is for this reason that then Chelsea manager, Villas-Boas, allowed McEachran to join Swansea City on loan for the remainder of the season. Since the switch, McEachran has only featured five times for the Swans, but that isn’t to say he is not one to watch for the future. He already has eight England Under21 caps to his name, and captained the national side at Under16 level. In the games that he has played this season, though, McEachran has impressed. The young Chelsea midfielder has an abundance of technical ability; his playing style has been compared to the likes of Samir Nasri and Luka Modric. In this sense, he is in a similar class to another exciting English talent, Jack Wilshere, in that they are not the typical box-to-box England midfielder. McEachran does not embark upon lustrous runs into the channels, but instead plays cute one-twos and short, snappy passes as a means of progressing up the pitch. A product of the Chelsea academy, it is evident to see that English coaches are attempting to blood youngsters into the Barcelona style of football. McEachran’s diminutive physique ensures that he will never contain much of a psychical presence. However, this is actually an underrated attribute in the modern game. McEachran often draws opposition players into fouling him, and when in those tiny pockets of space, players afford him that extra split second on the ball for fear of getting booked or sent off. So, whilst McEachran is still many years from his peak, he has already illustrated glimpses of the magic we can expect to see in years to come. If he is to continue to work with former Chelsea coach Brendan Rogers in Wales, it would be a safe man’s bet to put money on McEachran playing a major role for Chelsea and England in the future. Can Arsenal's "Mozart" produce another master class? After my recent successful endorsements of Petrov (17 points, GW35) and van der Vaart (22 points, GW36), I have decided to endorse another midfielder. My recommended player for Gameweek 37 may come as a mild surprise, nonetheless I am endorsing Arsenal's Thomas Rosicky. He may not have played many matches in the first half of the season, but Rosicky has recently shone signs of his world class talent in a reinvigorated Arsenal team. The Czech international has started 10 of Arsenal's last 11 matches, which have included him creating two assists and scoring a goal. He is a playmaker by nature. This proven attribute forms the essence of his raw footballing ability. Norwich (H) - They have conceded 1.83 goals on average whilst playing away this season. West Brom (A) - They have conceded 1.06 goals on average whilst playing at home this season. Norwich have recorded 9 defeats away. West Brom have recorded 9 defeats at home. Arsenal on average have scored 1.89 goals per league match this season. With this and the above in mind, the Gunners could potentially score at least 3-4 goals in their remaining two matches. Rosicky could orchestrate this as he will have to play a more integral midfield role. He has scored a respectable 20 goal in 85 matches for his country. There is a strong probability for him to add to his goal scoring tally due to the aforementioned reasons. Purchasing him would in-effect require you taking a calculated risk, but at 5.7 he is a steal purchase. Surely his natural football talent and quasi-musical on-pitch rhythm is unquestionable? I will post My GW 37 Blog Team (with confirmation of my selected captain and vice-captain) at least a night before the Gameweek commences. Everton continued scoring four goals in a match for a third consecutive week with a 4-0 win over Fulham. Jelavic's brace was key in allowing Everton to extend their unbeaten run to 6 matches and add misery to Fulham's woeful away record. Arsenal failed to win a third consecutive match in a row, despite Van Persie's opener. It was cancelled out by Crouch as Stoke grinded out a well deserved draw. It means that the Gunner need to remain their last two matches if they are to secure 3rd spot in the league. Bolton extended their unbeaten run to 3 matches, courtesy of assists from Ricketts and Petrov. The 2-2 draw ensured that Bolton remain in the relegation zone (albeit marginally), where as Sunderland have now failed to win in 6 consecutive matches. They may have already been relegated, but no one told Connor's men to stop playing football. 4-1 up, Swansea should have cruised to victory. But a pressure-free Wolves defied the odds and scored 3 deserved come back goals. The draw can only serve to instil some pride in Wolves, but their fans must wonder where their missing passion was a few weeks ago? West Brom continued their good run of form with a credible goalless draw. They have now secured 10 points from their last 5 matches. However, Villa's failure to score has ensured that they have scored only 1 goal in their last 4 matches and remain dangerously close to the relegation zone. As recent as a month ago, many slated Wigan for the drop. Yet shock wins over Arsenal and United showed their battling resilience. This sensationally continued with a 4-0 win against Newcastle. It means that the Latics have won 5 of their last 7 matches, which in turn ended Newcastle's 6 match winning run. Liverpool may have played dire football this season, but their Uruguayan striker rekindled some of their former glory with a winning hat-trick against Norwich. It was the Canaries 3rd consecutive defeat and was Liverpool's second win in three matches. Suarez wasn't the only Spanish speaker that scored a hat-trick in the Premier League this week. Torres carried his mid-week European form into the league by scoring three past Kenny. In the end Chelsea's 6 goals helped extend their unbeaten league run to 6, with QPR still close to the relegation zone. Spurs ended their 3 match winless streak with a much needed victory against Blackburn. Their opener was scored by van der Vaart, before Walker scored a superb second via a Brazilianesque free kick. The defeat was Rovers' 7th in 8 matches and keeps them stuck in the drop zone. In what was billed as the most important Manchester derby in history, it was the blue side that seized the moment and won. City's captain and resident "Iron Man" Kompany scored the only goal of the match, in which United failed to register a single shot on target. The result ensured that both teams are now level on points, with City having a higher goal difference as two matches remain to decide the title. Fulham returned back to Merseyside in the space of a few days as they played a weakend Liverpool team that was resting players for the FA Cup final. Skrtel's own goal secured victory for Fulham who recorded a rare and famous away victory at Anfield. It was only Fulham's 4th away league win of the season, with only their 12th goal from 18 away league matches. The Potters hosted Everton, as the match ended with another home draw. Crouch scored for a second consecutive week (albeit an own goal this time), with Jerome leveling the match for the home team. Stoke have now failed to win in 4 league matches as Everton extend their unbeaten run to 7. Newcastle refused to worry about their shock 0-4 loss to Wigan as they were faced with the daunting task of playing Champions League spot rivals Chelsea at Stamford Bridge. With the Blues having an eye on the FA Cup and Champions League final, they too were under pressure to perform on the night. However, it was that man, Newcastle's new number 9 who stole the show. Everything he touches turns into goals! If his first goal wasn't enough to wow the crowd, his sensational injury time second stunned Chelsea fans into silence. The defeat for Chelsea puts them 4 points a drift from 4th and means they will need to win the Champions League final to qualify for that competition next season. As for Newcastle, they are now faced with the job of playing City at home in a match that could decide the title and fourth spot. He may not have got the England job (let alone an interview for it! ), but it seems that this in turn has helped Spurs go back to stringing consecutive victories. A brace of assists from Bale, a brace of goals from Adebayor with VDV and Modric chipping in was enough for a resolute 1-4 victory against Bolton. The result means that Spurs are level on points with Newcastle (but retain a superior goal difference), where as Bolton remain in the relegation zone based upon their goal difference respectively. I dont often (if ever) say this... but I had a FANTASTIC GAMEWEEK! The double gameweek only served to multiply the number of points that my team accrued. Firstly my recommended player and captain did good for me with two goals and an assist. Secondly, my other transfer proved to be a master stroke with Walker scoring a goal and keeping a clean sheet. Moreover, RVP scoring and a Suarez hat-trick, along with other points ensured that I scored over 80 GW points for the first time this season. Not only that, but my team has surpassed all expectations and scored well over 100 points! The significance of this points haul means that my blog team is now truly ranked among the higher echelons of FPL this season. The remaining two Gameweeks will decide whether I can retain such an elite position. Looking ahead I will almost certainly make a transfer, yet remain undecided as of yet on who to sell and buy. I will upload my recommended player for GW 37 shortly. I hope you all had a good gameweek. Until next time, Ciao!